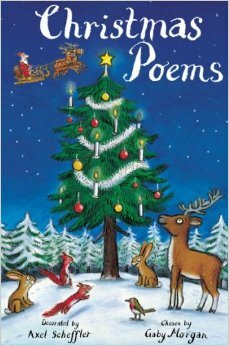 This wonderful selection covers everything from snow and Santa to more traditional hymns, rhymes and verses about the Nativity – a lovely collection to read to eager ears this month. With an RRP of £10.99, you can get your gloved fingers on it by sharing what it is you’re looking forward to this holiday season. Either post in the comments on the blog or on Facebook – or tweet us @thelearningzoo – in all cases, please include the hashtag #anticipation . So get typing… the winner will be announced at 10pm as usual. Good luck! Thank you all so much for sharing all of your #anticipation about the forthcoming festive season here on the blog. I’m pleased to announce that today’s winner is Martin – over on Twitter!